R&B BBQ Chicken wings - R&B FoodR&B Food ‹ R&B Food > House of Ribs > Grilling the best RIBS since 2012. Pileća krilca na roštilju (ljuto, pikantno ili blago) u BBQ umaku sa coleslaw salatom, lepinjom i Ranch umakom. 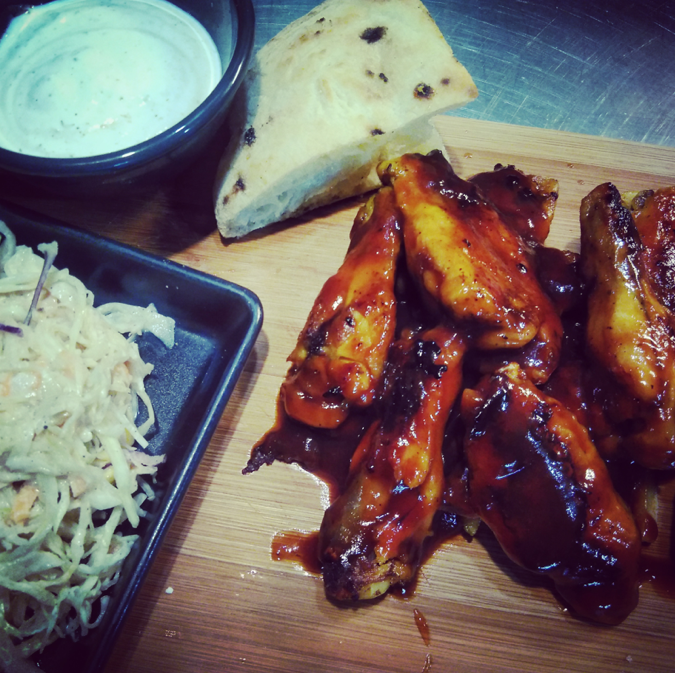 Grilled Chicken wings (hot, medium or mild) in BBQ sauce with coleslaw, flat bread & Ranch sauce.